While the WTO continues this week, the next round of NAFTA negotiations will be held. For the second time, cabinet level officials will not attend. Although the US administration may be preoccupied with tax reform and other issues, there is a sense that some would be happy for the talks to collapse. In response to repeated threats by President Trump to walk away from the negotiations, Congress and business lobbies press him to stay the course. There is still scope for progress on a few issues, like telecoms, digital trade, and government procurement. However, the most difficult issues spurred by US demands are over domestic content and a five-year sunset provision will see little progress. US negotiators have expressed frustration at Canada and Mexico's unwillingness to make counter-offers, but that would be to fall for the ploys in "Art of the Deal." Initially, there was hope that the agreement could be struck by the end of this year, but that was clearly over-the-top ambitious. Now the hope is March, but this too seems overly optimistic. Rather than walking away from the agreement, some suspect the US negotiators made demands that could not reasonable be accepted by Mexico and Canada. There will be primary elections in many states next year ahead of the mid-term elections in November. Mexico holds national elections next July. Initially, officials hoped to have the deal done before the elections risked politicizing the negotiations even more. 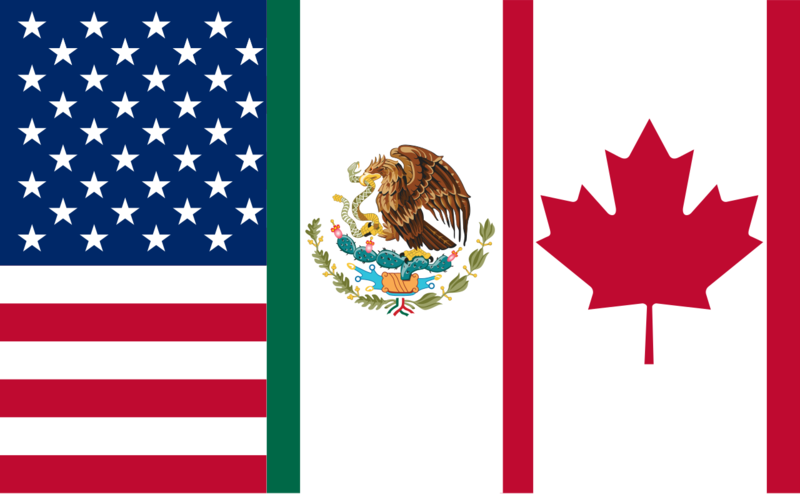 The US bilateral trade relation with Canada and Mexico seems poorly understood, partly because of the focus on trade in goods. Often trade is services is ignored. The US does run a deficit on goods trade with Canada. It was about $12 bln in 2016. However, last year the US ran a nearly $27 bln surplus on service trade, allowing the US to record a $12.1 bln trade surplus with Canada in 2016. The Commerce Dept estimates that trade with Canada supported 1.6 mln jobs in 2015, the latest data available. Canada is the single largest destination for US goods. US goods exports were about $266 bln in 2016. The US exports a little more than $52 bln of services to Canada. Of the goods, 18% (~$48 bln) were vehicles and 15% ($40 bln) were machinery and 9% ($24 bln) were electric machinery, 6% ($16 bln) were mineral fuels and 4.5% ($12 bln) were plastics. Over the past decade service exports to Canada rose by 43%. The main service exports were travel, intellectual property (software and audio-visual) and transportation. Trade is not the only way the US companies service the Canadian market. US companies have made direct investment in Canada. In 2015, the most recent data, US companies had a stock of $353 bln of direct investment in Canada. Some of it is used to service domestic demand in Canada. The foreign direct investment balance is nearly $85 bln in the US favor. It is particularly important in the service sector. Sales of services by majority-owned affiliates of US companies was about $134.5 bln in 2014, while the sale of services by affiliates of Canadian companies was $89 bln or $45 bln less than the US. After Canada, Mexico is the second largest market for US goods exports at $231 bln in 2016. The US recorded a goods trade deficit of $63.2 bln last year with Mexico. The US exported about $31 bln in services to Mexico in 2016, and recorded a $7.6 bln surplus. Overall, the US recorded a $63.2 bln trade deficit with Mexico last year. The Commerce Department estimates that exports to Mexico supported US 1.2 mln jobs in 2015 (968k by goods and 201k by services). US goods exports to Mexico were concentrated in machinery and electric machinery (each accounting for about 18%), vehicles and mineral fuels (each account for about 9%), and plastics (~7%). US service exports to Mexico in 2016 were concentrated in travel, transport and intellectual property. US companies' stock of foreign direct investment in Mexico was worth about $93 bln in 2015. It is led by manufacturing, non-bank holding companies, and mining. Mexican companies have direct investment in the US worth about $16.5 bln. It is mostly in the manufacturing, wholesale trade, and depository institutions. The sales of services by majority-own affiliates of US companies was nearly $46 bln in 2014, while affiliates of Mexican companies sold $8.5 bln of services in the US in 2014. Looking at the goods trade balance within NAFTA is misleading because service trade is increasingly important. Given the importance of direct investment, local sales by majority-owned affiliates (when adjusted for imported inputs, which is why we broke out services) it makes sense to incorporate them for a more holistic sense of the total market penetration. The trade does not look lopsided is a partial picture may appear. Nevertheless, we think that the risk is growing that the attempt to renegotiate NAFTA fails. Canada has indicated it is willing to consider a bilateral agreement, but we suspect that while the process may begin, it will unlikely conclude before 2020. There are several outstanding bilateral issues between the US and Canada, including lumber and dairy, which are not easy to resolve.